The boost is performed by one of our Overwatch boosters - all of them have great amount of experience in Overwatch allowing them to boost you fast. If you choose Solo queue the booster will play on your account till he hits your desired Skill Rating. You can also choose to play with a booster in Duo Queue and improve your experience from the Overwatch boost this way. It also allows you to learn some new techniques and play styles. We also boost on Xbox and PS4 for the same price! Please note you need to be level 25 in order to get boosted. Can I see the boosters and can I pick one of them to complete my order? Yes, you can see our Overwatch boosters here or you can scroll down, click on more details to see their profiles. You can pick any of them by typing their number to the field during the checkout. Please note that if you choose one specific booster, it might take longer time to get started than if you let any booster finish your order. Are your Overwatch boosting services available on all servers? We provide fast, cheap and reliable boost with 24/7 support on live chat. We have a system for boosters which allows us to start all orders almost instantly after the purchase. You can also talk to your overwatch booster on direct live chat throughout the process. That makes using our services very simple and satisfying to use like no other site. These times are approximate - boosters are also just human and it is also dependant on more factors. Sometimes it's less, and in some rare occasions, it's more. He was AMAZING! Listened to everything I asked of him, and got it done super quickly. I definitely recommend him. Since its release, Overwatch has been one of the most popular games made by Blizzard. The number of its fans has been steadily increasing every year, and it’s not surprising because this game has its own hybrid qualities that can’t be seen in other games. Overwatch, unlike any other online games, is both a first-person shooter and a MOBA at the same time. Thus, gamers from all parts of the world got instantly hooked. Overwatch is definitely loved for its fresh and unique gameplay. Here, everyone can enjoy a competitive match by interacting with other players online through a first-person perspective. Hence, many players buy Overwatch Rank Boosting provider helpful since maintaining and increasing one’s rank are essential elements when you want to maximize your matches and flourish in the game generally. Blizzard, like always, has created some of the most interesting, diverse, and unique characters in a game. In Overwatch, not only are these types of characters present, but a large roster of interesting characters is also offered in this game. There is a variety of heroes with their own purpose and backstory that you can choose from – Defense, Offense, Support, and Tank. Plus, each and every character has its own advantages and perks, thus making it a balanced game. A game without any form of event is surely boring. However, in Overwatch, updates and scheduled events are consistently released by the game. These events aren’t only free to play, but joining and completing the tasks will also give you rewards like hero skins and maps. Most of these events are in tune with the holidays and seasonal events which is really generous of the creators. As stated above, Overwatch is a hybrid game that can be played in a first-person perspective with a MOBA concept. Thus, this makes it really enjoyable to play with since its refreshing and unique. Overwatch’s gameplay is very balanced and competitive so players will never get bored and will strive to even go further by getting an OverwatchBoost. Because the gameplay has a thriving community, rank matches are consistently happening every single day. Blizzard aims to provide players with accessible and free games to enjoy. Thus, they made sure that Overwatch provides a free installation process and content updates. Here, you can enjoy their accessible and free maps, modes, and characters. With these alone, it’s easy to get hooked on this game. With Overwatch, anyone can freely play its amazing graphics and experience its one-of-a-kind gameplay. Why get an Overwatch Rank Boost? Just like any other game, Overwatch has its own ranking system combined in the game to make it more competitive. In a ranking game, all players with the same expertise and skills are matched to compete with each other. Basically, the higher your rank becomes, the stronger opponents you’ll meet. Since Overwatch isn’t a single’s game. Thus, you’ll have to focus on other matters aside from your personal skills and proficiency. In Overwatch, you’ll have to interact with other players, so teamwork and persistence should be a priority too. However, despite doing one’s best, controlling other players to do their part is impossible to achieve. Hence, if you are stagnant in a particular rank because of your consistent losing streak, you can actually just get an Overwatch Rank Boost. Having an Overwatch Boost has its own advantages compared to not getting one at all. This is a simple and fast option that can instantly boost your rank. Getting our Overwatch Boost package will not only remove you in your stationary state, but this will also let you experience a whole new world of gaming wherein you are faced with some of the greatest opponents on Overwatch. 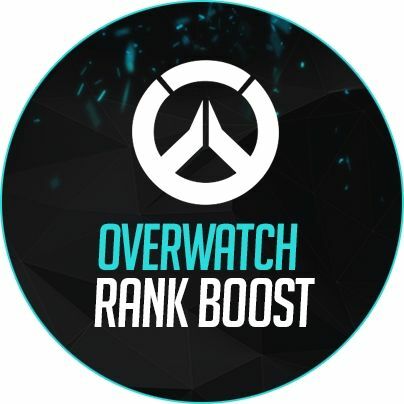 Also, getting an Overwatch Boosting package from us will let you know what to enhance and how to step-up your game since your rank will need you to become stronger in general. We at ProBoosting only offers services which are safe for all buyers. Our credibility is enough to convince you that our Overwarch Boost will be delivered to you without any conflicts. We are a transparent team who only wants what’s best for your accounts. ProBoosting doesn’t like to delay the purchases that buyers get, so we make it a point to deliver your Overwatch Boost as fast as we can. If you have queries, you can access us anytime you like. We have a team of customer service representatives who will gladly assist you with your questions. We know how important it is to increase your rank in Overwatch. Thus, give ProBoosing a try. We highly value our clients and perfectly understands your need to strive for the game so get an Overwatch Rank Boost from us today!